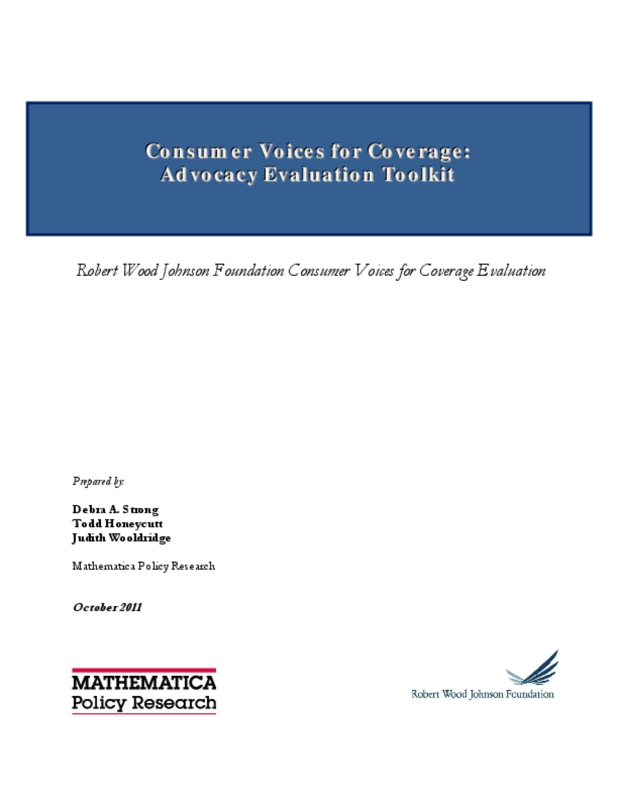 Offers step-by-step guidance on evaluating advocacy projects, including developing a logic model, collecting evaluation data, and using focus groups and interviews to evaluate or inform program performance. Includes surveys on RWJF's advocacy initiative. Copyright 2011 Mathematica Policy Research, Inc., Robert Wood Johnson Foundation. Copyright holder(s) Robert Wood Johnson Foundation , Mathematica Policy Research, Inc.